Undergraduate scholarships, graduate funding, and other forms of financial aid can help you meet your educational goals. Ready to start your financial aid planning? About 65 percent of UO undergraduates receive some form of financial aid. This amounts to more than $256 million in grants and scholarships awarded each year. Financial aid and scholarships are available to incoming students and those already attending the UO. The SOJC awards more than 150 scholarships each year. Many of these are made possible by donations from alumni who have been moved to give back. Once you're admitted as an SOJC student, you'll be eligible to apply for these additional awards. 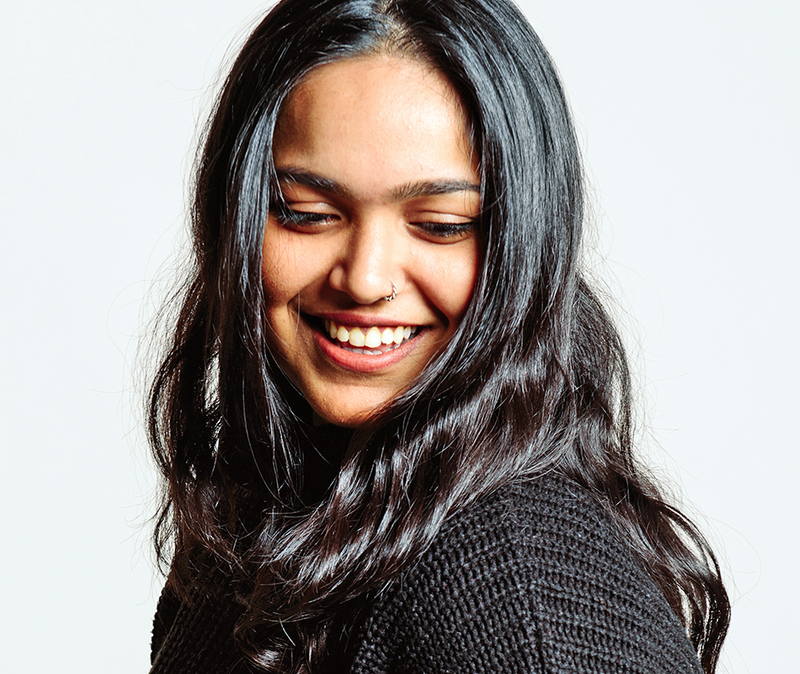 Left: International student Srushti Kamat ’18 got a full ride to the SOJC and traveled around the world for reporting and networking trips, thanks to SOJC and UO scholarships. Read about her experiences. You can earn money toward your degree while gaining valuable work experience. Students can work up to 25 hours a week in jobs on campus, in government, and at local nonprofit agencies. Above: Justin Hartney ’18 helped fund his education by working as a social media content creator for University Communications while he was pursuing his advertising degree. Learn how he balanced work and school. Our fully funded PhD program lifts the cost burden from students so they can focus on their research and finishing their degree. Graduate students have additional options for funding their education, including graduate employee positions (GEs), awards and fellowships, and travel awards.